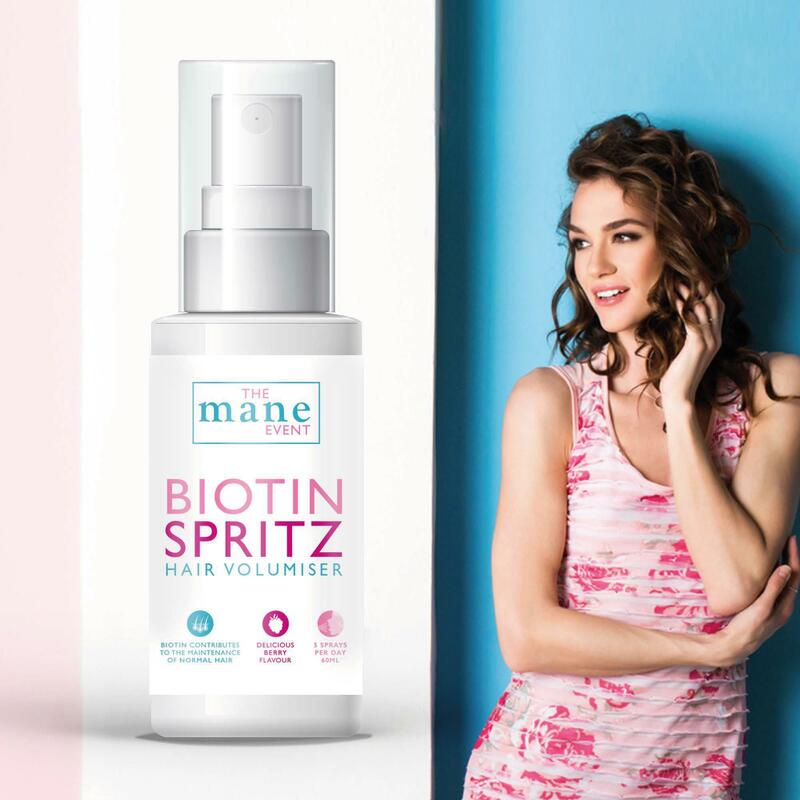 What is Biotin Spritz Hair Volumiser by The Mane Event? 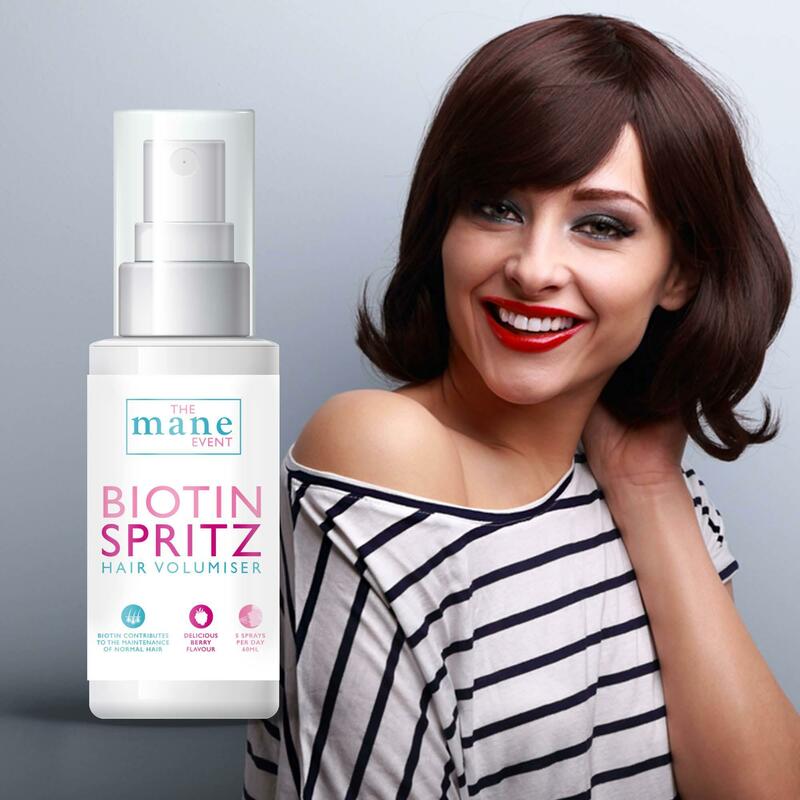 Pump up the volume with The Mane Event Biotin Hair Volume Spritz. Just 5x sprays per day delivers 5000µg of Biotin (10,000 % NRV) with a delicious red berry flavour. 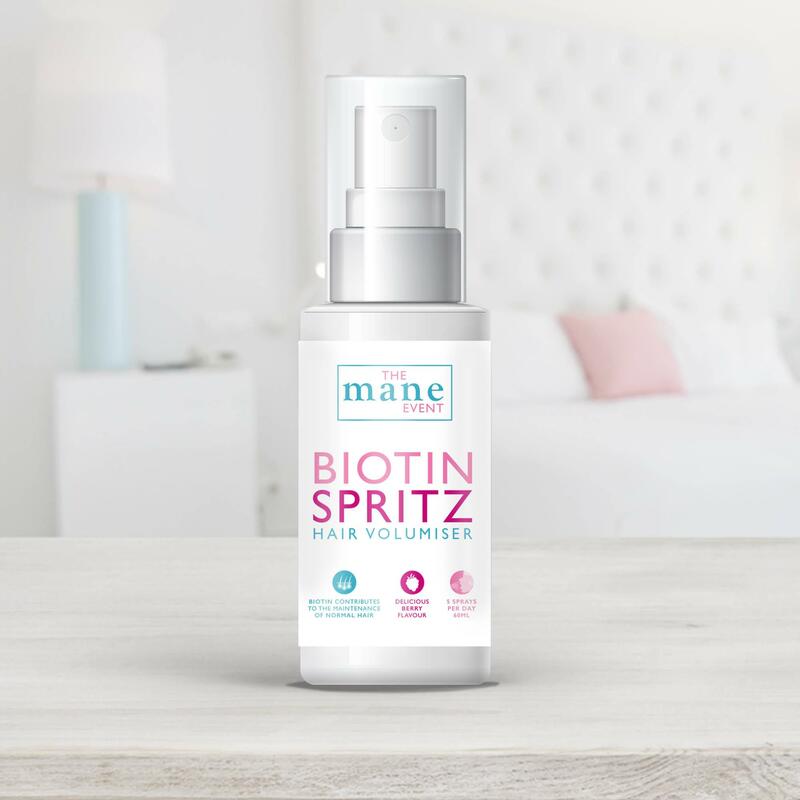 With high strength levels of Biotin, The Mane Event Biotin Spritz helps to support hair volume & complete beauty radiance. 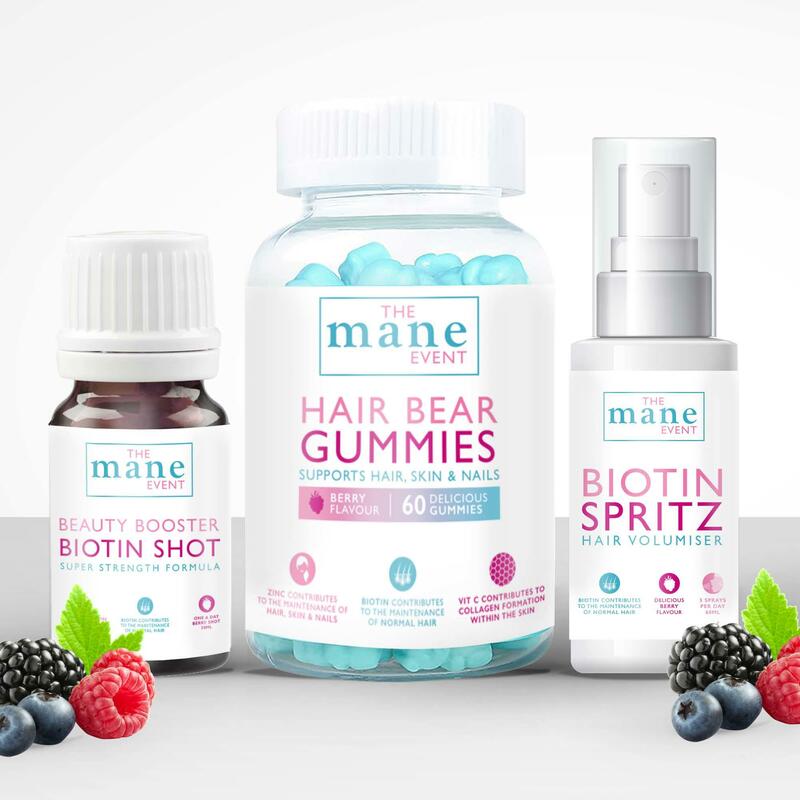 Biotin has gained a reputation as the ultimate hair booster. Biotin supports macronutrient metabolism & for this reason it is thought to contribute to hair growth. Biotin breaks down proteins from the diet into amino acids, these are necessary for the production of Keratin. Keratin is a protein component found in hair, skin & nails. Keratin makes up 90% of every hair & is thought to keep hair strong & healthy. Biotin is a member of the B-vitamin family and is one of the vitamins included in B-Vitamin complex. It is a water soluble vitamin, this means that it is not stored within the body & should be regularly replaced. Great sources of Biotin within the diet include Avocado, Banana, Berries & Peanut Butter. 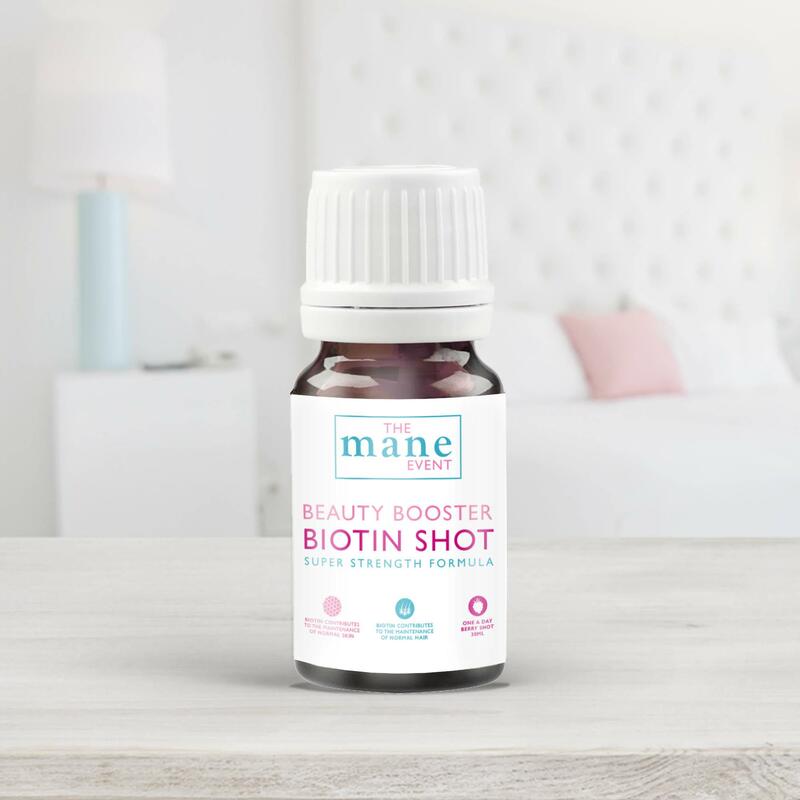 The direct to mouth spray format of this product enables better absorption of the actives into the body than capsules or tablets, this is because the Biotin is delivered sublingually. This form of absorption thought to be faster as there is no filtering through the digestive system. Each spritz has a great tasting Berry flavour which makes it enjoyable to take everyday! We also think our sprays are also alot more convenient than the other product in the market which have drop dispensers. A 2 month course is recommended to see the benefits on hair volume in line with the natural hair shed and regeneration cycles. Made in the UK to the highest quality standards so you can be assured of the product quality which you are receiving. 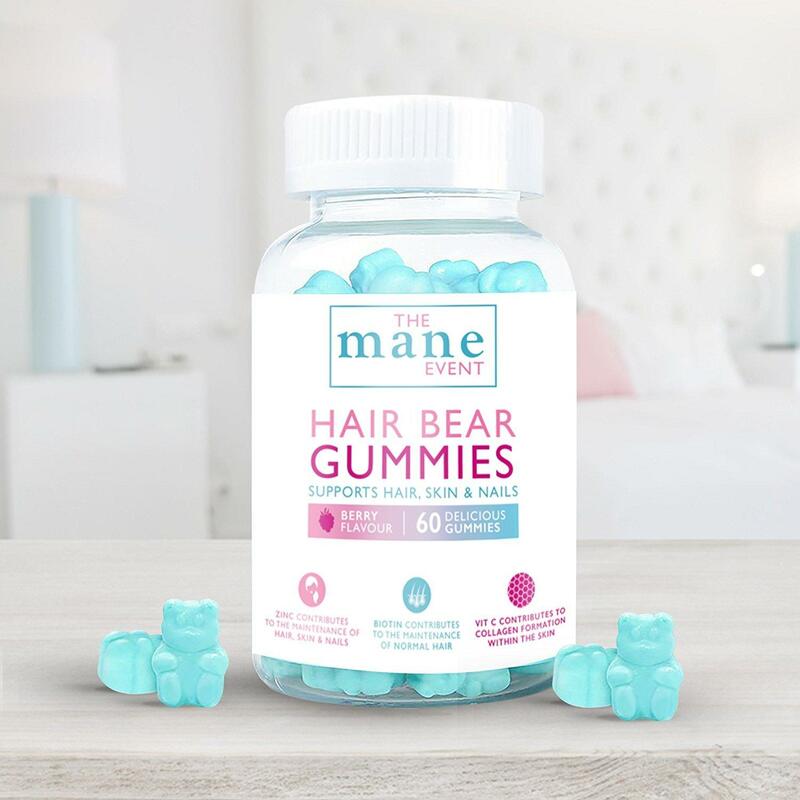 This product is suitable for Adults who are looking to increase their Biotin intake to support the maintenance of hair & skin. Adults: Spray 5x into the mouth daily. Water, Glycerine, Flavouring, D biotin, Citric acid, Potassium sorbate, Tri sodium citrate, Xanthan gum, Sucralose. Store in a cool dry place. Keep out of the sight & reach of children. Do not exceed the stated daily intake. Food supplements should not be used as a substitute for a varied diet and healthy lifestyle. Excessive consumption may produce laxative effects.